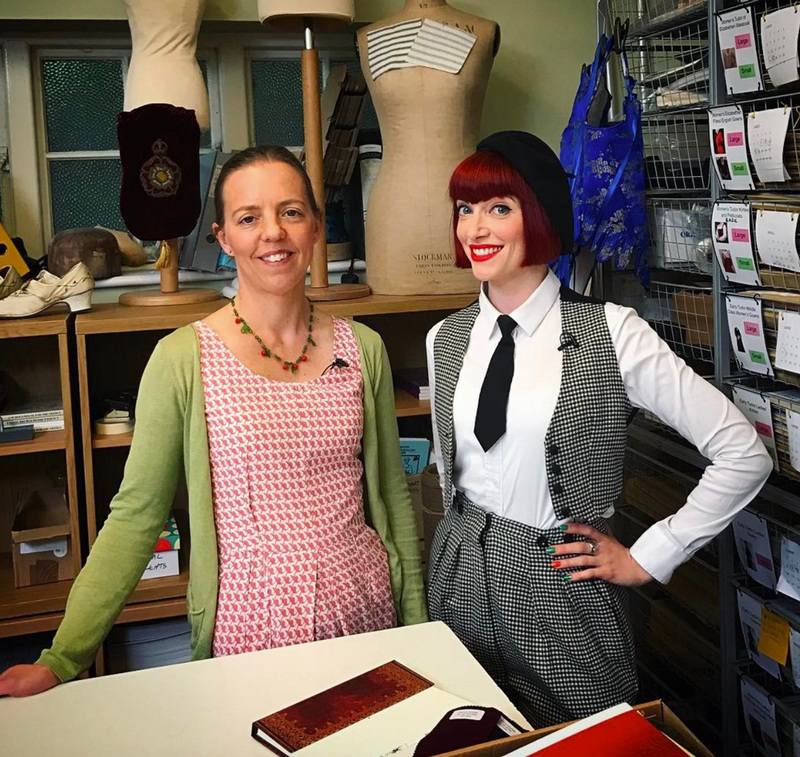 Ninya is currently filming a series for BBC4 called 'A Stitch in Time'. The series is presented by fashion historian Amber Butchart and features a range of period garments being reconstructed using only period techniques. All the garments are being made in Ninya's studio with the help of fellow costumier Harriet Waterhouse and placement student Hannah Marples (Huddersfield University, Costume with Textiles). The programmes are likely to be aired in the autumn of 2017.